Congratulations! To help you promote your win, InfoWorld has supplied the following PR information and usage guidelines. Note that companies named as an InfoWorld Technology of the Year Award winner may be referenced in press outreach to publicize the awards and InfoWorld’s content about the awards. 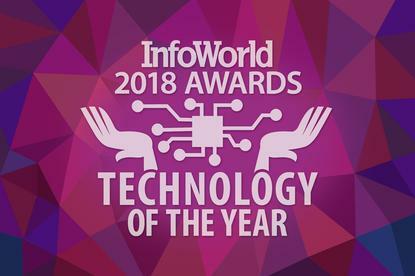 InfoWorld will not disclose proprietary corporate information, but it may highlight information included by your organization in the original InfoWorld Technology of the Year Awards content. If you would like a physical award, or print or electronic reprints, you can place an order through the YGS Group via phone at (800) 290-5460 x129 or via email at infoworld@theYGSgroup.com. Note that YGS solely determines the cost of the awards’ production. As an InfoWorld Technology of the Year winner, you have the opportunity to purchase a license for the rights to use the Technology of the Year logo. Please contact your IDG Enterprise sales executive or email Sean Weglage at sweglage@idgenterprise.com. The InfoWorld Technology of the Year brand is a valuable asset that International Data Group needs to protect. We ask that you help us by properly using the logo in accordance with our guidelines listed below. Accordingly, we ask that your business partners, customers, and other third parties adhere to the guidelines listed below. The logotype may not be altered in any manner, including size, proportions, colors, elements, type, or in any other respect. You may not animate, morph, or otherwise distort its perspective or dimensional appearance. The logotype may not be combined with any other graphic or textural elements and may not be used as a design element of any other logo or trademark. The logotype must be separated from your company name and product names by the space of one logo width or one inch, whichever is greatest. If you are unsure if your usage is within these guidelines, please contact Lynn Holmlund in IDG Enterprise Marketing. Please read the following guidelines carefully before preparing a press release that references InfoWorld and the InfoWorld Technology of the Year rankings. If your company wishes to include a quote attributed to an InfoWorld spokesperson, please use the following quote to reinforce InfoWorld Technology of the Year key messages. Modified versions of this quote are subject to approval from InfoWorld. All quotes should be attributed to Doug Dineley, Executive Editor, InfoWorld. The full feature name is the InfoWorld Technology of the Year Awards. InfoWorld is always one word, and the “w” is capitalized. On first reference, list the publication as “IDG’s InfoWorld.” InfoWorld as a stand-alone name may be used after the first reference. If a subsidiary of an organization is included in the rankings, press releases or marketing material should specify that the unit—not the parent organization—received the award. If the parent unit is cited, the name of the subsidiary unit should be more prominent in placement, size, and usage than that of the parent unit. The following approved InfoWorld corporate boilerplate and short InfoWorld Technology of the Year Awards description may be used, where appropriate, in press releases referencing inclusion in the InfoWorld Technology of the Year feature. Selected by InfoWorld editors and reviewers, the annual awards identify the best and most innovative products on the IT landscape. Winners are drawn from all of the products tested during the past year, with the final selections made by InfoWorld’s Reviews staff. About InfoWorld InfoWorld is the leading resource for content and tools on modernizing enterprise IT. The InfoWorld Expert Contributor Network provides a unique perspective in the market; our editors provide first-hand experience from testing, deploying, and managing implementation of emerging enterprise technologies. InfoWorld’s website (InfoWorld.com) and custom solutions provide a deep dive into specific technologies to help IT decision-makers excel in their roles and provide opportunities for IT vendors to reach this audience. InfoWorld is published by IDG Enterprise, a subsidiary of International Data Group (IDG), the world’s leading media, events, and research company. Company information is available at www.idgenterprise.com. About IDG Enterprise IDG Enterprise, an International Data Group (IDG) company, brings together the leading editorial brands (CIO, Computerworld, CSO, InfoWorld, ITworld, and Network World) to serve the information needs of our technology and security-focused audiences. As the premier hi-tech B2B media company, we leverage the strengths of our premium owned and operated brands, while simultaneously harnessing their collective reach and audience affinity. We provide market leadership and converged marketing solutions for our customers to engage IT and security decision-makers across our portfolio of award-winning websites, events, magazines, products, and services. IDG’s DEMO conferences provide a platform for today’s most innovative and eye-opening technologies to publically launch their solutions. Company information is available at www.idgenterprise.com.